Sage advice given by people who appear to be sage. Appear to be sage because they walk off leaving you wondering how you can go about implementing the advice. “Treat your match like your training session”. Well that’s all very well, what are the steps that one should take so that you can actually treat your match like your training session? When I was shooting, nobody ever told me what the steps were. Today, we are going to study the steps. When you follow these steps, you will learn how to treat each and every trg. 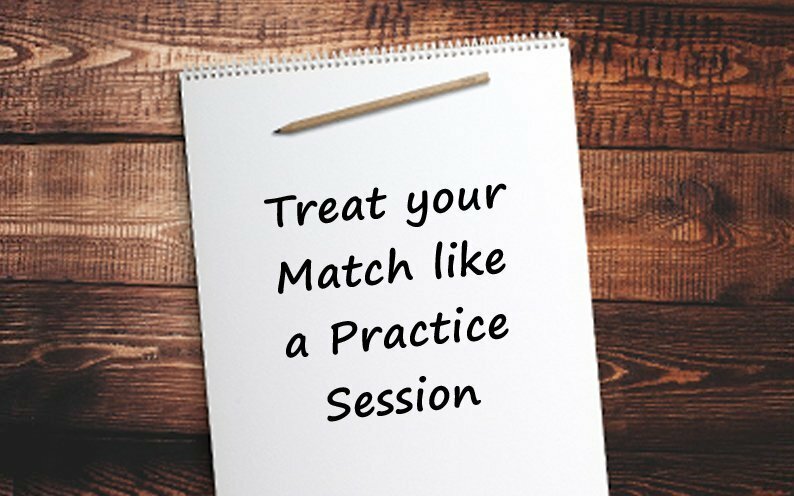 session like a match? And how you will treat each match like your training session. If you want treat your training session to be like a match and your match like a training session then you have to develop and FOLLOW the same ROUTINE for your training session and the same routine for your match. What do I mean by ‘routine’? If you recollect, when you are going for a training session, your routine is very relaxed, while you are travelling, when you reach the range you are quite relaxed and each training session routine is different from the last. There is no ‘sameness’. One training session is not similar to the other training session. And at the same time, when you think how you shoot a match, you are extremely serious, you are extremely focussed on your performance and it is completely different, this routine that you follow for a match is completely different from your training session. Isn’t it? The first step to treat your match like a training session and your training session like a match, is to develop a ROUTINE which is the same for your training session and match. 1. Set yourself a Goal for each and every shooting session. Your goal should never be a score, it should be related to achieving proficiency in your technique for shooting a ‘10’. Every shooter must maintain his shooting diary, where the Goal for each training session is written down. Once you reach the shooting range, you must follow the steps provided below without any deviation from one training session to another and follow the same steps for the match. Warming up – Physically, Mentally and Technically. Physical warming up : You must do the physical warming up exercises for at least 15 minutes. Mental Warming up : The steps you should take to mentally relax as well as focus on your what you are going to do while shooting. Technical Warming up: practice the different steps in your technique for shooting a ‘10’ – Sight Alignment, Focus, Trigger operation. Once you have completed your warming up you should write down the steps that you will take when you occupy the lane. Write down what are the things you will do in your preparation time. Write down how many shots you will shoot during sighters and what are the important points that you should focus on in your technique – Sight alignment, focus, trigger etc. You must shoot 60 record shots within the time you are supposed to shoot in a match. Therefore shoot the same way in your training session. In case you wish to shoot more shots, then shoot in a 60 shot format followed by an additional 40 shot format. After you have completed your session, remember to write your diary. Please note : The above steps are written in brief, for a more detailed discussion refer to the videos and text lessons indicated above. 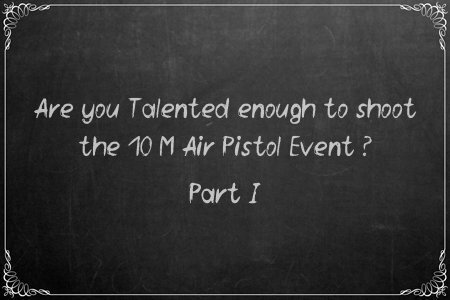 You can find these video’s in my 10 meter air pistol training modules listed on my website. One thing that sets apart International level Shooters and ‘run of the mill’ ordinary shooter, is ‘Diary Writing’. Almost every shooter who performs at the international level, without any exception, maintains a shooting diary. It is said that if you wish to become ‘rich’, then follow the habits of the ‘rich’, similarly if you wish to become an international class shooter, then this is one habit that you can easily pick up. Take the first step, pick up any old diary and start maintaining a daily record of your shooting performance. GET INTO THE HABIT, of writing your dairy. Unfortunately, we start off with great enthusiasm then forget to write one day, then we skip writing for days till we give up maintaining our diary altogether. After a few weeks or months when the subject of diary writing comes up, we mentally shrug, giving the lame excuse that there is just no time for diary writing! In my 10 Meter Air Pistol Coaching Module No. 3, I have explained the importance of Diary writing. I go on to explain how maintaining a shooting diary helps shooters to keep track of their daily progress. We have set up an Elite Members Group where each day our students post the snapshot of their daily training sessions. 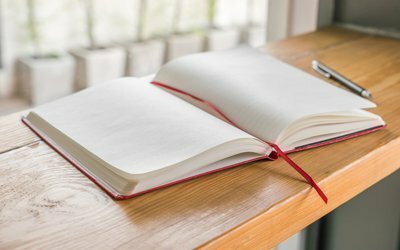 Other members of the group are inspired when they see others posting their diary details and even if they have missed out a day, they get back to writing their dairies. 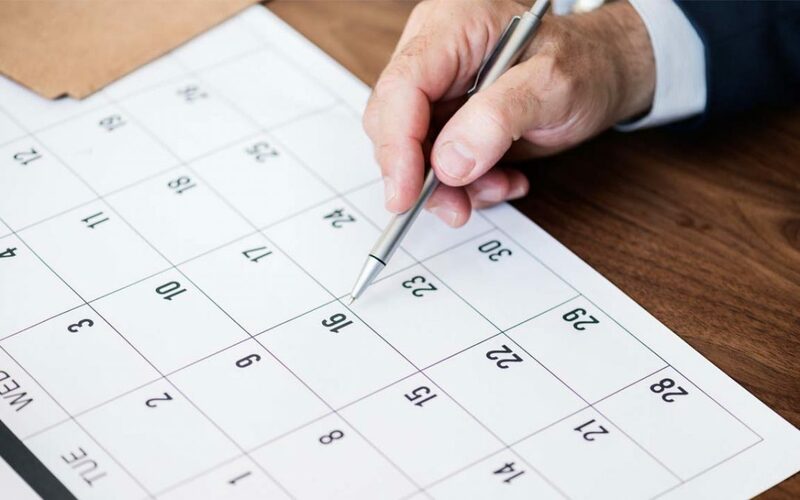 Writing your shooting dairy helps you to plan out your day, after you have planned out your training time slots, it helps you to focus your time and energy on the goals you have set yourself for each training session. Elite members are taught how to measure their training inputs, thus at the end of each training session, the shooter writes down in his diary precisely how much progress he has made (or not made). A shooting Diary is absolutely essential for improving your scores very quickly. A shooter who maintains his diary improves his score THREE times quicker than the shooter who does not maintain a shooting diary. Also, those shooters who do not maintain a diary, soon fade away while shooters who maintain their diary, keep on improving their performance with each training session. One of the reasons why shooters do not improve their performance / scores is due to lack of time. Almost every shooter faces this problem whether he / she is studying or working. In my recently conducted survey, almost all the shooters who responded indicated that they can devote two hours per day for shooting. Obviously, they mean two hours on the shooting range but what if I told you that you can almost DOUBLE this time? Yes! You can do so by adding one more training session at HOME in addition to the time you spend on the shooting range. In Module No. 3 Training Methodology, I have provided detailed exercises which can be done at home. All you need to do is to rejig, reschedule your daily timetable. A 10 M Air Rifle Target. Determination and resolve to train the extra hours. I had also discussed in great detail the importance of mastering the ‘Aiming Process’. In Module No. 3 Training Methodology, A set of exercises have been discussed through videos and text lessons which help you to master the ‘Aiming Process’ at HOME! Once you have mastered the Aiming Process your scores WILL IMPROVE. On the shooting range, you can concentrate on mastering the ‘Trigger Operation’. When you go for competitions, you have to wait for your shooting detail for anything between 2 – 3 days. In your hotel room, you can put into practice the Exercises (explained in Module No. 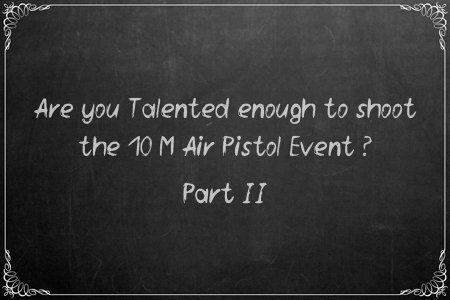 3, Training Methodology) for not only mastering the Aiming process but also practice the Technique for Shooting a ‘10’. (Module No. 2). This ensures that your skill level and confidence level remains very HIGH and you are MENTALLY prepared to shoot your match with a high degree of control over your technique. If you wish to double your training time and improve your scores then become an Elite Member and avail of the novel Training Methods explained in Module No. 2 & 3. I advise you to JOIN NOW!